There are recipes that you make that simply bring comfort with the first bite. For me, these dishes are usually soups, stews, and meals made in one pot or skillet! I love when everything is made in one pot, because usually that means there are layers of flavor throughout the dish. 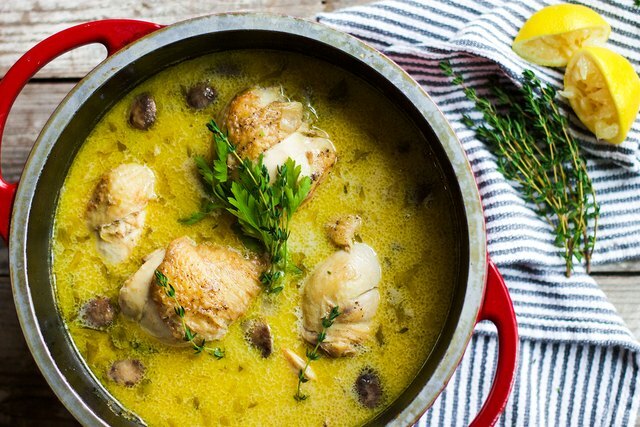 Chicken Fricassee is a dish that is a halfway between a sauté and a stew where the chicken is first sautéed and then cooked in a flavorful liquid until ready to serve. 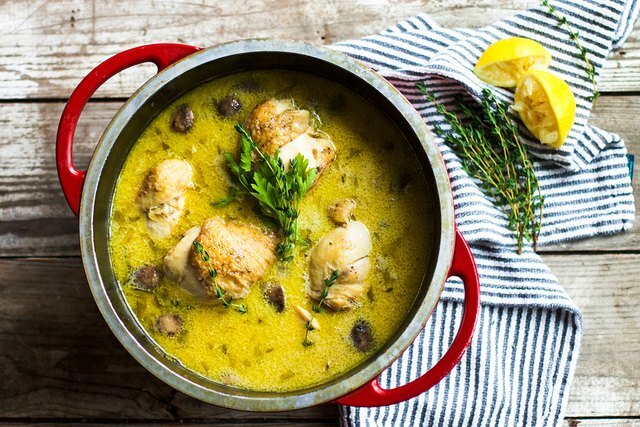 With a few steps, you can make delicious homemade Chicken Fricassee right in your own kitchen. This dish is the perfect Sunday supper that is best served with some crusty bread to help sop up all of that delicious cooking liquid. You will love making this recipe any time you are craving comfort food, and you can bet your whole family will love it too! Season chicken liberally on both sides with salt and pepper. In a dutch oven, heat over medium high heat and add oil and 2 tbsp. of butter. Once the pot is hot and the butter has started to foam (but not turn brown), add your chicken in two batches and sear on both sides. Make sure to do this step in two batches to avoid overcrowding the pan so that you can get nice caramelization on the chicken. Dice onions, celery, and carrots in a uniform size. 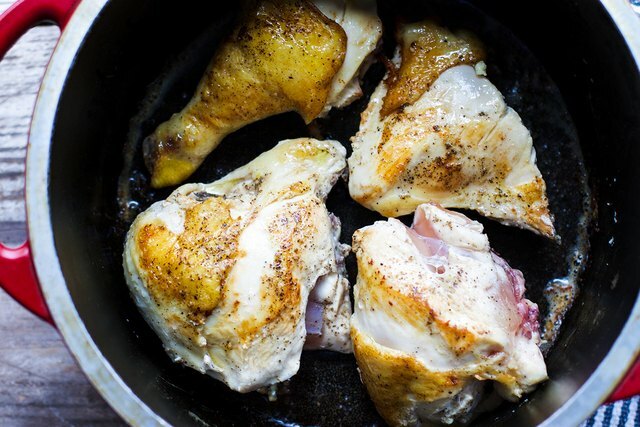 Once the chicken has browned, remove it from the pot and place it on a plate to the side. 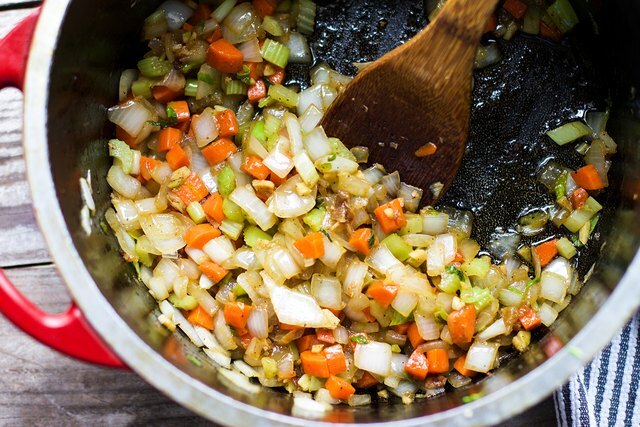 Add in diced onion, celery, carrot and garlic, then sauté about five minutes until vegetables are translucent and browned slightly. 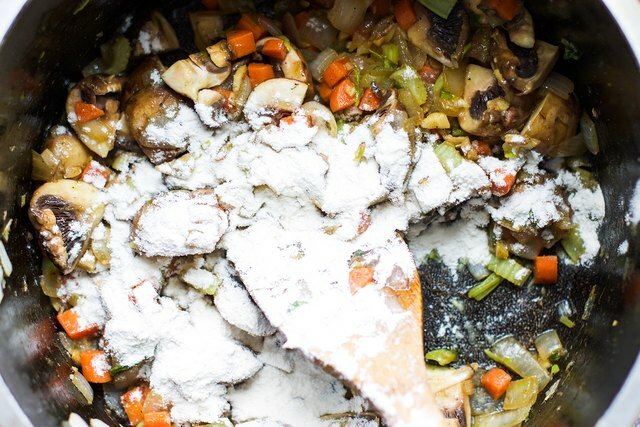 Once vegetables are browned, add in quartered mushrooms and sauté for a couple of minutes until they start to release their liquids. Add in flour at this time and stir until all of the flour has been absorbed, about one minute. 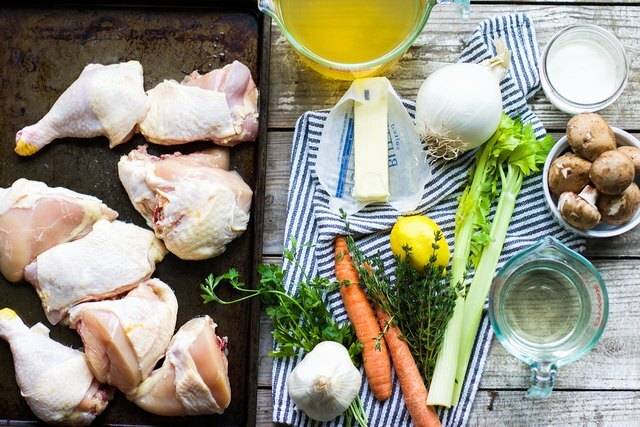 At this time pour in white wine and let reduce for five minutes, then pour in the chicken broth and bring heat up to a simmer. Once the liquid has been added, place the chicken back into the pot, skin side up, along with the thyme, parsley and bay leaf. 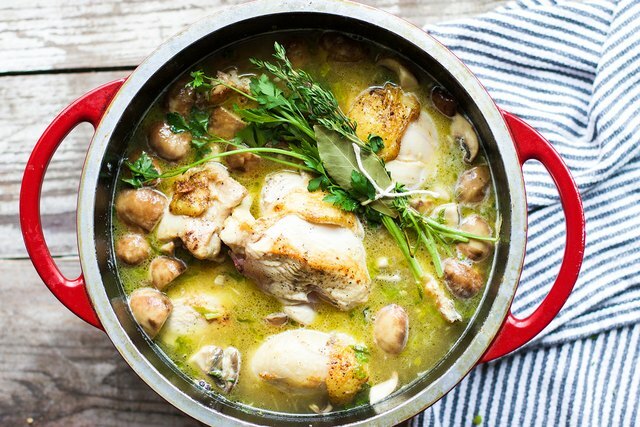 Bring to a boil, and then reduce heat to simmer for 25 minutes until chicken is cooked through, leaving the pot partially covered while it simmers. When chicken is cooked through, remove it from the cooking liquid and let the liquid reduce for 5-10 minutes. Tie the herbs together with kitchen twine for easy removal. 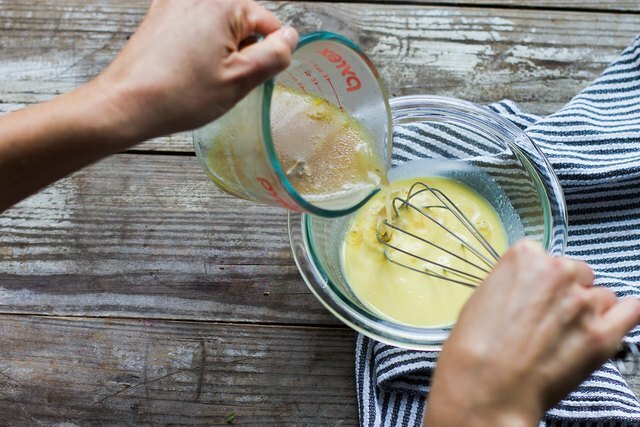 Whisk and combine heavy cream and egg yolks together. Take one cup of the hot cooking liquid and slowly add into the liaison about a tablespoon at a time, whisking constantly to temper the liaison and bring it to temperature without scrambling the egg yolks. Pour the liaison into the cooking liquid, stirring constantly until it is mixed well. Let it cook for another 5 minutes to thicken the liquid. Once the liquid has thickened, remove the herb bundle and add the chicken back into the pot. Squeeze and zest one lemon into the dish and add the last tablespoon of butter. Stir into the sauce and it is ready to serve! This dish is full of flavor, is perfect for entertaining, and usually has enough for leftovers the next day that end up tasting even better!